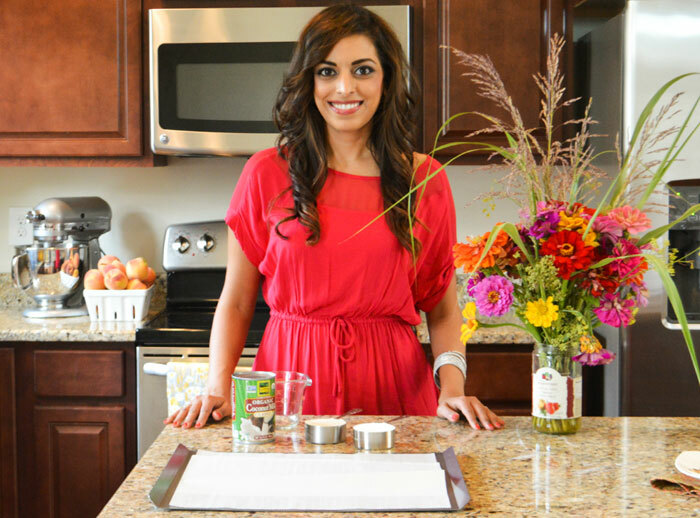 My Heart Beets is about my journey to make healthy and flavorful food. All of the recipes of this blog are 100% gluten-free and many of them are also “Paleo friendly” (see my definition of “Paleo” here). While I am technically on a real food diet – I hate to call it a “diet,” because this is a lifestyle change for me. Yes, I know everyone says that. For years, I had painful tummy issues and I never thought the problem was what I was putting into my mouth. I was in denial for awhile. So how did I snap out of it? It was during visit to my parent’s house. My brother asked me why I looked swollen. I thought he was just teasing me, but then my mom came over and told me I looked swollen too. I looked in the mirror, and they were right. My face and body looked puffy. I remembered that for the past few days, I had been popping a few extra acid-reflux pills in the morning and before bed. I didn’t think it was a big deal, and besides, I needed them in order to eat. It turns out that I had developed bad bacteria in my stomach from the self-medicating. I went on an elimination diet and started feeling better right away. I decided the foods I loved didn’t love me back and so, while painful, I decided that a break-up was in order. There were days (really it was just one day), where I cried because I couldn’t go out to eat pizza with friends. I realize how pathetic that sounds. I now understand that a moment of cheesy bliss just isn’t worth the hours of pain that it comes with. I’ve changed my lifestyle and I’m happier because of it. I don’t call this a “diet,” because truthfully, I haven’t lost any weight (I’ve actually gained some). If you’ve lost weight while eating real food or while on a gluten-free/paleo diet then more power to you! For me, it’s about how I feel – and I feel pretty awesome. If you haven’t read my about me page, you can do that here – otherwise, check out my FAQ page. Did you know that you can filter through my recipes by dietary requirement? Check our my awesome Recipe Index! Oh, and don’t forget to sign up for my newsletter! I love love LOOOOVE your blog. Thanks for sharing all of these yummy recipes and your story 🙂 Looking forward to trying these out ! So proud of you !!!!! I’m going to send this to my mom because I think she’s suffering from the same thing. Fantastic job with this blog. I’m über impressed. Ash, love you <3 I'm in the same boat. I've developed a lactose intolerance over the last couple of years and apparently have had acid reflux issues for a long while (I just figured it out recently and am on medication too)! I have been reading along and seeing what recipes I can steal and modify to be vegetarian = ) Thank you for giving me creative ways to go around all of the limitations! Love you Ramya!! Not sure if you use pinterest, but I have a vegetarian board there if you want to follow 🙂 Now that I’ve been doing paleo for awhile, I’ve actually stopped taking all meds and am doing just fine for now. I obviously wouldn’t suggest that for everyone though. I’m so glad you like the blog – I hope it helps you! I think this may be a blog I could actually fall in love with. I’m going to try it because I’m at that “what have I got to lose” stage in life. Anklosing Spondylitis, fibromyalgia and now Lupus. Well I think everything but the A.S. is a product of what I’m putting in my body . Including the medications. Wish me luck. I am in LOVE with you naan recipe! I make it almost everyday and tell everyone about it. I made your chicken makhni the other night….delucious!! Thank you! Hi Ashely — Clicked on link from Nom Nom Paleo today to your naan recipe. Love the feel of your blog, and lots of your recipes look amazing. I’ve been paleo for about 2 months now, and I’m a lucky one that is losing weight from it but do agree that it’s not necessarily a ‘diet’, one of the few that I believe to be a true lifestyle sustainable diet. Just wanted to say hi, and excited to try out your creations. Thanks for sharing!! Thanks for the message, Elmo 🙂 I’m glad you found my website. Hope you’ll let me know how any of my recipes turn out for you. Found your blog from a recipe posted on Pinterest. Love the recipes: they look delicious and can’t wait to try them. Know what you mean about eating paleo–have been eating this way for three years and made a big difference in how I feel. I have to tell you that we LOVE your naan recipe and make it all the time. I did however change the tapioca flour to arrowroot flour. The reason was that I have SIBO and can’t have the tapioca flour. I also frequently make your curried beef with the coconut milk. Sorry don’t recall the name of that dish. It is great fun to play around with adding different veggies and last night I used ground pork in place of the beef. Delish! Great job on your blog! I too am looking at this Paleo journey as a life style. I look forward to trying your delicious sounding Indian recipes. help me with a paleo diet as i am from india,so that i can put on weight by eating 5 times a day. I am excited to dig more into your blog/recipes. I joined up yesterday as we will probably go Paleo for our 10 year old daughter, Audrey. She was diagnosed with Celiac and Hashimoto’s/Hypothyroid at age 5. She loves to bake and cook now, and we want to help her embrace these additional important changes. I’m in love with your recipes and website! I can relate to you stomach pain and issues! Thank you! Glad to have you as a reader 🙂 Hopefully this diet helps with your stomach issues too! Debbie, I’m so happy to hear that you and your husband are on this healthy journey together 🙂 I hope you will let me know what recipes turn out well for you! I have been strictly Paleo for five months, and was diagnosed with Celiac three weeks ago. I’m feeling great since switching to this new lifestyle, but not having the option to cheat every so often, has it’s moments. I’m getting used to it. Day by day. Dominique, thanks so much!! Let me know what you think of both recipes! Also, I’m sorry to hear you were diagnosed with Celiac – I hope my recipes will make your new lifestyle a little easier for you! I feel so lucky to have stumbled upon your blog today! I’ve been struggling with similar digestive issues (including severe puffiness) and am looking for recipes to satisfy my vegetarian Indian palate. (Steamed veggies just won’t do for life) your recipes are a godsend! Thank you for taking the time to not only test your recipes but also share them with the world. These recipes can actually help me change my life. Can’t wait to try my first Egg Curry & paleo naan! Mansi, I’m glad you found my blog too! Thanks for the sweet comment 🙂 Let me know what you think of the egg curry and naan! All in all, everyone should eat to live and not live to eat. We should all learn how foods work for our individual selves and how we can make food work for us, no matter the label (paleo, gulten-free, atkins, etc). I just recently found your site, and I have already made TWO batches of your AMAZING naan bread!! I just finished one with my lunch!! Thanks to your FAQ regarding naan, I know know I’m using too high heat, and not cooking long enough…yes, I tend to be impatient!! I am going through a (self imposed) allergy elimination diet, week 3, and I was really missing bread!! Since I’m fairly certain I have no nut allergies, I took a leap of faith to try it…so far, all is still well, and I’m beyond the 72 hour time frame for delayed reactions!! Yea!! I’m not certain that I will ever be 100% Paleo, but 3 weeks into this, I know it will be wholesome foods going forward for me!! The awesome thing about Paleo recipes, they’re wonderful even if you’re not 100%. I’m looking forward to trying more recipes from your site, and wanted to thank you soooooo much for all you do!! Hi.. I am jus wondering is it possible to make GF rotis, paraths, chapathi.. I can’t thank you enough for your blog! I found out I was Type 2 Diabetic a couple years ago, and I chose to control it with Paleo, exercise, and supplements rather than meds. I thought I’d have to give up Indian food, but thanks to your blog, I don’t 😀 Which is good news, because I’m convinced Indian food is my love language. Thanks Ashley! My only requests would be a few more recipes/ideas for cooking and using fenugreek and bitter melon (not necessarily in the same recipe) and any suggestions for nightshade substitutions in your recipes. Thank you, Myriam!! 🙂 I’m so glad you like my eBook! I found your blog while searching for Paleo sweetmeat recipes for Diwali! 🙂 And thanks a mil, I found a few amazing ones. The Carrot cake is incredible. Will definitely be trying a few more recipes. I’m new to the Paleo scene. No serious issues; just interested in being more healthy and losing a few pounds. Paleo Indian is definitely challenging; our diet is so carb heavy! Happy to have found your blog for support. Hi Azy! I’m so glad you found my blog 🙂 I hope you’ll let me know what you think of the paleo Indian recipes that you try! you) . I really miss FLAVOR and Sauces. So when I came across your site with all of these stew type recipes with lots of spices I got so excited. They look so good and I look forward to trying many out. I enjoy eating and now I think my taste buds have a chance to get happy again. (-: Thanks! I’m so glad you found my website!! Sorry to hear that you were so sick, that is awful! I hope you’ll let me know how the recipes on my blog turn out for you! I signed up for your newsletter after seeing your cookbook on Amazon. I am finally going to get the Instant Pot! I just had to share, I went gluten free and paleo for a good 3 years. Then I read John Douillard’s “Eat Wheat”. It addresses gluten intolerance and why it’s widespread from an Ayurvedic standpoint. It is such an amazing read, a practical approach based on science. Needless to say I have let legumes and wheat back into my life, I am happier and healthier than ever. You can check out the reviews on Amazon. I look forward to getting your cookbook for my Instant Pot. Hi Ashley – I just found your blog, and after perusing a few of the recipes, decided I had to sign up for your newsletter! I can’t wait to start seeing your recipes on a regular basis. My family has always focused on healthy eating, trying to stay away from chemical laden foods as much as possible. A few years ago my older daughter was diagnosed with celiac disease, and we figured out that my husband and my younger daughter had some intolerance towards gluten as well (just as I was starting to get better at making bread 🙁 ) So our whole house went gluten free. Of course it’s been quite an adjustment, and I’ve discovered a few wonderful food bloggers in the process, although I hadn’t yet found a gluten free one that I loved. I’m excited to start trying some of your recipes, they really do look wonderful!